Ever wondered what a car with 10/90 weight distribution drives like? We at The Drive adore strange project cars of every kind. 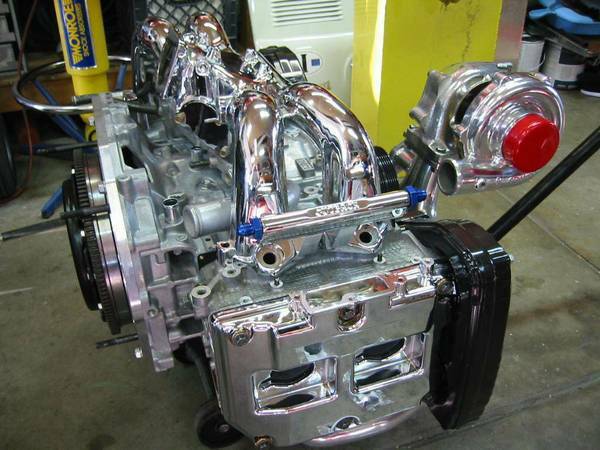 From 2JZ-powered Rolls-Royces and Corvettes to superbike engines in places like Austin Minis and drag karts, we admire the build of anyone with a unique idea and the gumption to make it a reality. 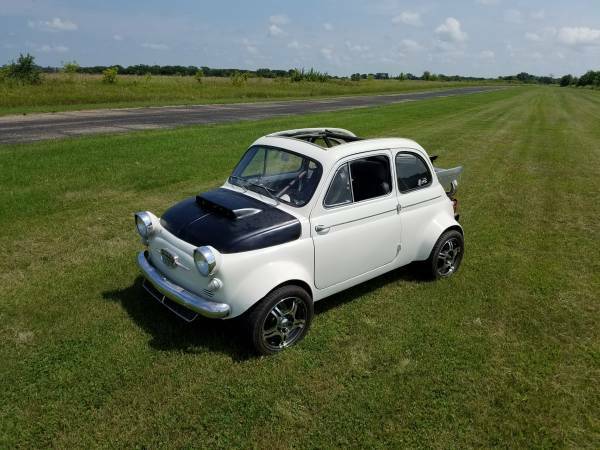 Today, we found another oddity to covet: A 1957 Fiat 500 with a heavily modified 2.5-liter flat four from a Subaru WRX STi. 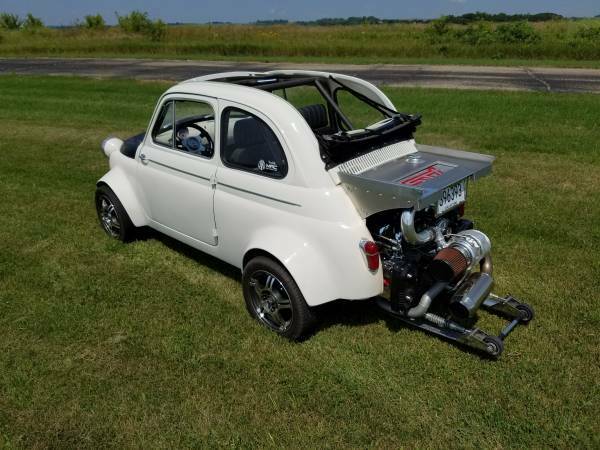 Going by the full tube frame, stout wheelie bar mounted to the back, and a drag strip photo included in its Craigslist ad, this Fiat is built to be nothing other than an oddball drag car. 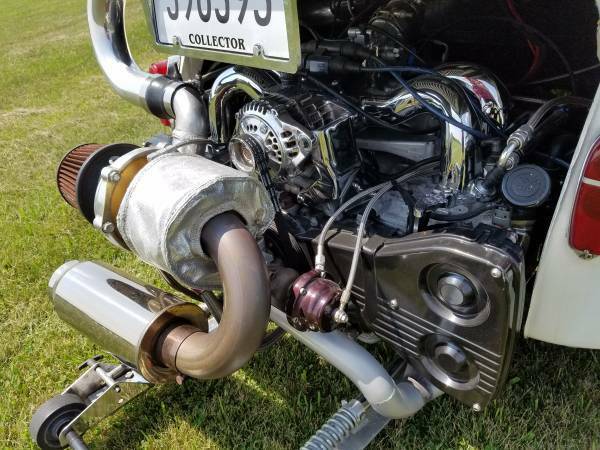 The owner states that the car makes over 300 horsepower at 16 pounds of boost, courtesy of that blanketed turbocharger out back, and surpasses the 500 horsepower mark when boost is cranked up to 30 pounds. Through research, The Drive has turned up some knowledge about this car's history. It was listed for sale by a Missouri-based company called Moto Exotica, which later sold it at for $26,900 to an undisclosed party. The buyer of the car put it up for auction at Barrett-Jackson in Palm Beach earlier this year, where it sold with no reserve for $19,800. Now listed on Craigslist for $28,500, we question whether the current owner is trying to flip the car for a profit, or if we're looking at a case of buyer's remorse. Either way; the only thing we care about is seeing how it performs with a quarter mile of tarmac before it. With upwards of 500 horsepower available and only 175/50R13 tires out back, we doubt it'll be featured in any clips by YouTube's 1320video channel any time soon. It's nitrous-boosted and he can get it up to almost 100 mph.